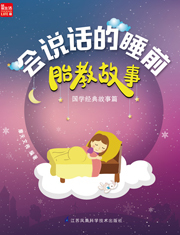 The book features adaptations of classic Chinese stories to train the imagination. The book features adaptations of classic Chinese stories to train the imagination. The book's interactive content is tailored for parents-to-be to make reading it more interesting. When reading, mothers-to-be can touch their belly and express love for their baby. • 77 classic Chinese stories with original colored illustrations. • A combination of storytelling audio, beautiful music and selected stories. • Includes a diary for fetal education.